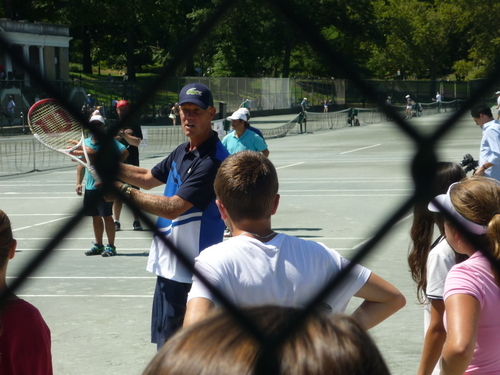 I joined tennis event in New York ! 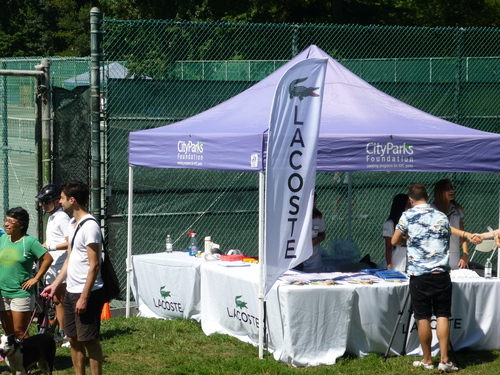 It was held in Central Park. There were many runners. They were running around the pond. I could see beautiful Manhattan. 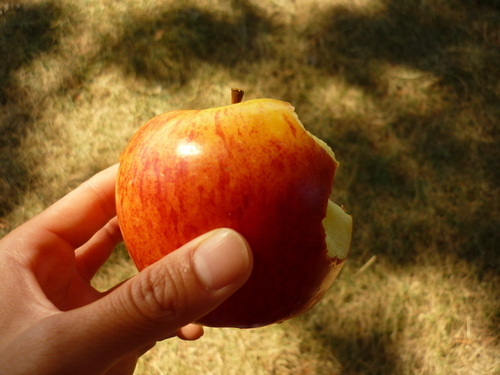 I ate an apple in Big apple(New York). 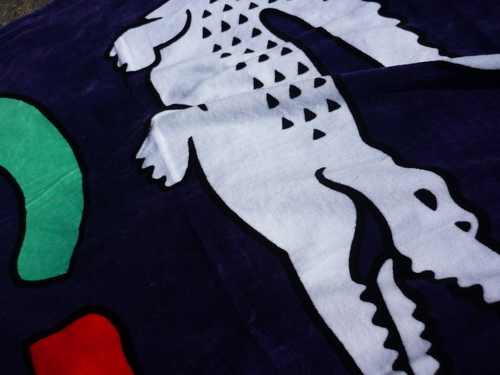 The event was held by LACOSTE. It was free. 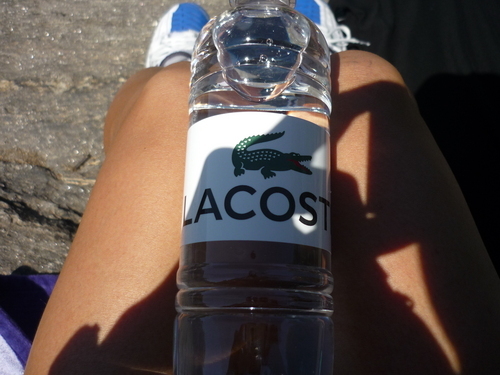 Lacoste water. I could get it free too. The participants are between children and old persons. 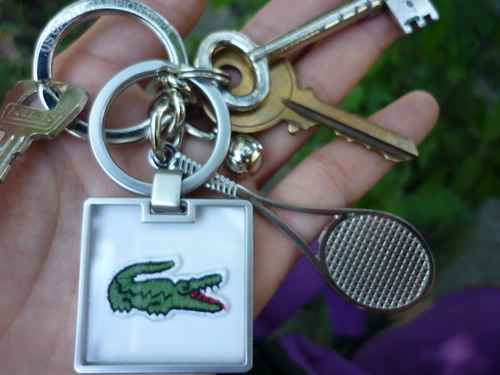 This Lacoste one is my trophy. I could hit the target 4 times, so I could get it. 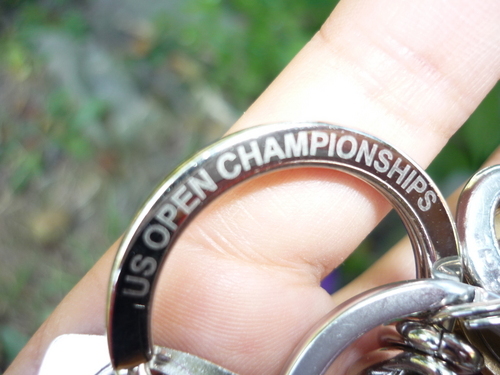 The racket one was get in US open event site.